What Is Fuel Octane and Why Does it Matter? Going to the gas station on your own the first time can be somewhat intimidating, especially when you pull up and are faced with multiple fuel options. The first thing you need to know is whether your car runs on diesel or gas because the two are not interchangeable. If your car runs on diesel, you're in luck because there's usually only one option. But if your vehicle is gas-powered, you'll need to choose the correct octane level, and you can find this information in the owner’s manual. Diesel and gas-powered engines both function very similarly, but the major difference occurs during the combustion phase of the cycle. In a gas engine, fuel and air are compressed together and then ignited with the spark plug. In a diesel engine, on the other hand, the air is compressed alone first, and when fuel is added to the compressed air, it ignites. While both gasoline and diesel are petroleum products, they have different compositions, and the major difference between them is that diesel is a combustible fuel—meaning it ignites under pressure and heat—whereas gasoline is a flammable fuel and requires a spark to ignite. There are three different levels of octane for gasoline: regular, midgrade, and premium. The octane rating describes the ignition point of a compressed fuel, meaning a low-octane fuel will spontaneously ignite under lower pressure than a high octane fuel. In a four-stroke engine, the combustion cycle uses a spark plug to ignite the fuel, but when the fuel ignites on its own because of compression—called knocking—it can damage the engine. While vehicles with a high-performance, supercharged, or turbocharged engine may require midgrade or premium gasoline, most cars are designed to function on regular. Unless your owner’s manual says to use a higher octane level, there is usually no benefit to using midgrade or premium under regular driving conditions. The exception is if you're towing or carrying a heavy load, in which case a higher octane may improve gas mileage and carbon dioxide emissions. However, using a lower octane gas than your engine requires could cause damage and poor performance. Can You Use Diesel in a Gasoline Engine? Because diesel and gas are different fuels and the engines work slightly differently, you can't use one fuel to power the other engine. If you accidentally put the wrong fuel in your tank, it’s not the end of the world, but the problem will have to be fixed. Diesel combusts under pressure and from heat, so the spark plug in a gas engine won’t be able to ignite the fuel, meaning the engine won’t run. If this does happen, the fuel lines will have to be flushed and cleaned. 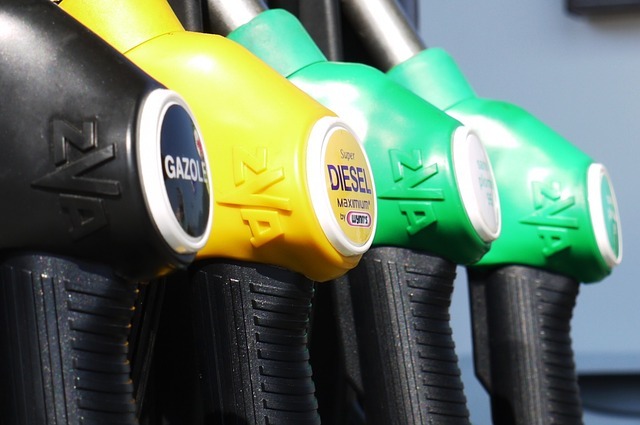 Typically, a diesel pump will not fit into an unleaded tank, the handle is normally green, as well, making it easy to identify. Learning to drive is a huge responsibility, and requires much more knowledge than just mastering the rules of the road. Choosing the right driving institute is about a lot more than finding the lowest price, and if you're looking for the most comprehensive Littleton driving school, you’ve come to the right place. Western Slope Driving Institute has the courses and training you need to become a knowledgeable and safe driver.